25th April 2017 - "My PhD in 180s", Toulon edition. 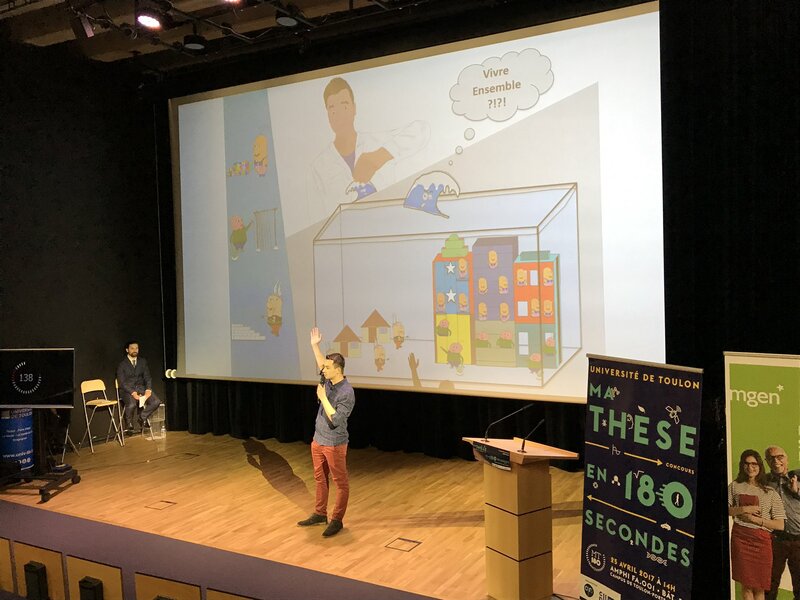 Clément DEZANET and Richard GUILLONNEAU, PhD students at MAPIEM, have participated to the event "My PhD in 180s", Toulon edition. Each participant had three minutes to present his or her research, to a non-specialist audience and a jury made up of researchers. The challenge: make their thesis topic easily understandable in clear, concise and convincing French and with the help of only one slide! Richard GUILLONNEAU received the 1st prize of the jury. He is now selected to represent the University of Toulon at the regional competition in Marseille, on April 28th, 2017, and who knows, he will maybe participate to the International Final at Liège (Belgium) in Autumn 2017. 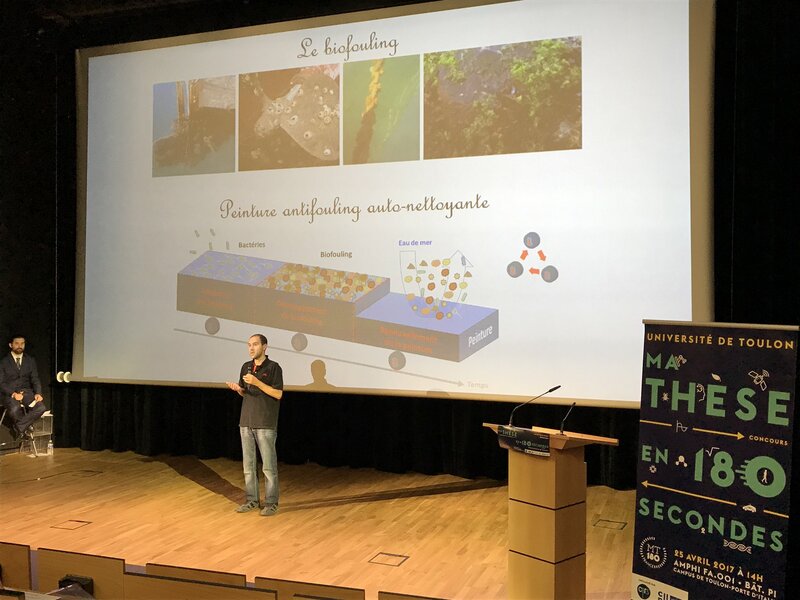 Richard GUILLONNEAU, "Diversité des comportements microbiens au sein d’un biofilm marin"/"Diversity of microbial behaviours within a marin biofilm". Clément DEZANET, "Conception d’un revêtement antifouling respectueux de l’environnement"/"Conception of an environmentally-friendly antifouling coating".